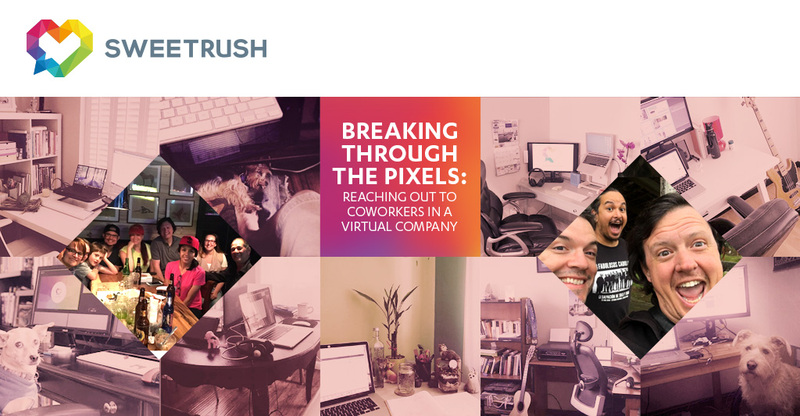 I have been working from home for SweetRush, a virtual company focusing on performance improvement, for four years. My coworkers are some of the most talented, creative, and hardworking people I have had the pleasure to work with. Day after day, I collaborate with my team to create engaging and unique online courses. Through the course of the four years, our team has learned about each other’s families, celebrated triumphs, and have shared life stories. It’s the same banter people engage in physical offices to get to know one another. After four years, I felt I knew my coworkers pretty well. We communicate every day via chat and video. I would see their faces in photos and see their mannerisms in video conferences. I felt I knew my friends in full dimension. 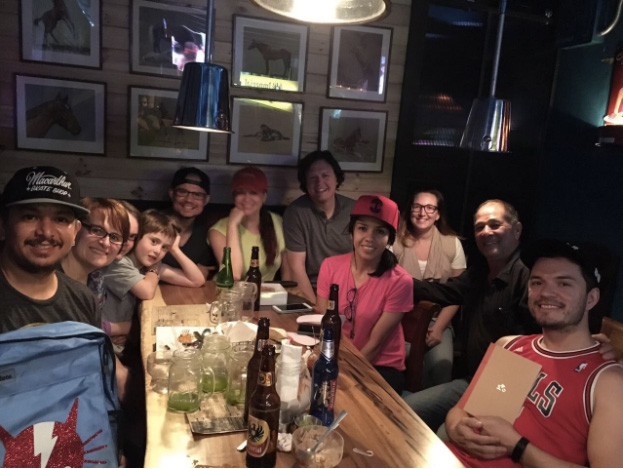 It would be terrific to meet them in person if the opportunity presented itself, but I did not understand how essential it was until my family and I traveled to Costa Rica, where I met many of them face-to-face for the first time. Costa Rica had been on our list of places to visit far before I started working at SweetRush. Something about it always called to us, most likely the beaches and the monkeys. With spring break approaching and our daughters old enough to travel comfortably (for my taste), the timing was perfect to make the trip. In typical Donahue fashion, we waited until just a few months before to start planning. We were grateful to have two weeks for the trip, but were only able to mentally plan the first half with so many unknowns. How would driving in Central America go? Would the girls make the long road trips without pushing each other out of the moving car? Would we even make it to our first destination? Fortunately, from the moment we landed in Costa Rica, the magic of the experience was apparent. We were graciously hosted the first night by two SweetRush coworkers who split time between San Francisco and Costa Rica. Seeing their familiar faces helped us get acquainted with our new surroundings and, more importantly, the laid back, relaxed pace of Costa Rican life. The first night, we were treated to dinner at Zompopilla’s, an extraordinary restaurant in the heart of Ciudad Colon. To our surprise, several of my coworkers were awaiting our arrival. We chatted over ceviche and other delicious bites. They shared their excitement for their country and us visiting it. Shane’s family and a few of our Costa Rican teammates and friends get together for a yummy dinner and show off their hats direct from Oakland, California!It was that evening that it became so clear what my experience at a virtual company had been missing: socializing with my coworkers and friends without a screen of pixels between us. Face to face. Together, we were a group of friends sharing a meal and something more that all the current technology is unable to duplicate. Energy. The energy generated from people sharing stories in parallel added a dimension to our relationship that I would have missed entirely had we not made the decision to travel outside our comfort level to Costa Rica, rent the car, and introduce our kids to some of the warmest, most dynamic people I know. 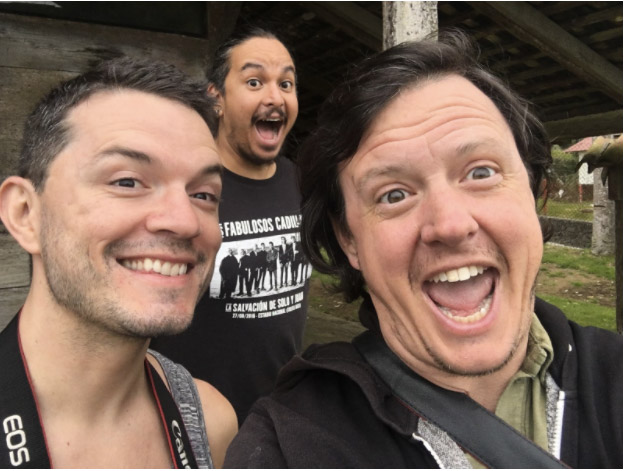 From left: Carlitos, Tino and Shane… who are clearly not having any fun at all!The rest of our trip was as incredible as the first night. We were fortunate to have the opportunity to meet the Costa Rican SweetRush team and their families several other times over the course of our stay. It opened my and my family’s eyes to the importance of travel, but also served as a reminder of the importance to reach out, past texts and chats and video conferences, to discover and celebrate direct human contact with coworkers, especially at a virtual company. Shane Donahue is a Creative Director at SweetRush and lives in Oakland, CA. He uses his background in video games, film, animation, and commercials to create engaging eLearning along with the SweetRush team. Wow, Shane, I wanted to go to CR before, but now I can see it is a must-do experience! Thanks for turning your visit into a 3D experience for us! I have been working from home for SweetRush, a virtual company focusing on performance improvement,..